Jacob Harris grew up in Ashland, Oregon, where his family has lived for over two decades. Jacob attended the University of Puget Sound in beautiful Tacoma, Washington where he graduated with a Bachelor of Arts in Political Science in 2011. Jacob graduated with a Juris Doctorate from University of Oregon School of Law in 2014 and was admitted to practice in the great state of Oregon soon after. It has been a long-term goal of Jacobs’ to return to the Rogue Valley and practice law in the community in which he was raised, alongside his family and friends. In 2015 Jacob joined his mother, Wendy Levy. They made the decision to combine forces and start Levy & Harris Law. Together, Wendy and Jacob offer a unique and passionate work ethic that serves our clients in a way that makes them feel as if they are a part of our family. 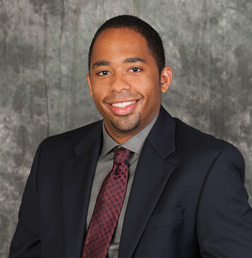 Jacob is dedicated to helping his clients through all stages of litigation. Jacob emphasizes building a personal and professional relationship with his clients in an affordable and effective manner. Jacob is a member of the Oregon State Bar, Jackson County Bar Association, Oregon Criminal Defense Lawyers Association, and the Oregon New Lawyers Division. In Jacob’s free time he enjoys spending time outdoors, camping, training his beloved German Shepherd, Boris, and watching Duck sports – Go Ducks!